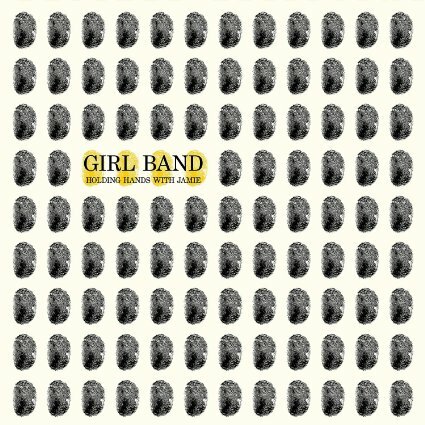 Holding Hands with Jamie is Girl Band‘s debut album. We wish it was a noise rock paean to how glorious it is to date me 😉 Sadly, it was some poser that inspired this album that details how emotionally crippling a break up is. The four young Dubliners that make up Girl Band are: Dara Kiely (vox), Alan Duggan (guitar), Daniel Fox (bass), and Adam Faulkner (drums). Given the irony that comprises their name, it is not surprising to find Holding Hands with Jamie extremely angsty. Lead singer Kiely has been open about his struggles with depression. With the help of his friends, and just three days after returning home from his group’s first US tour, Kiely crafted something pretty spectacular from the pieces. “Paul” is the first single to drop and it makes a splash indeed. Sonic confusion reigns with looping bass, distorted guitars, staccato vocals that suddenly scream, and a concussive drum beat that won’t quit. This is not an album for everyone. It definitely falls into the “love or hate it” category. But if it doesn’t give you a wicked pisser of a headache, you will absolutely love the ferocious complexity and go track down everything else they’ve ever done.